2019 Calaway Park Season Pass are on sale until May 21st! Don't miss your chance for a whole season of family fun! 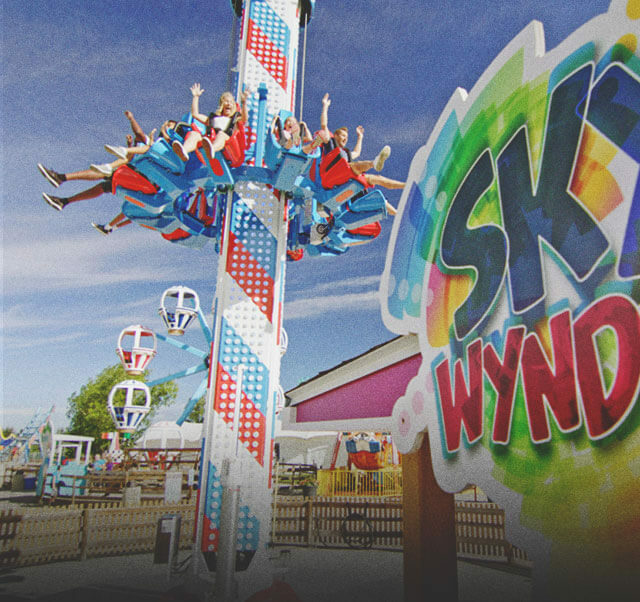 Calaway Park invites you to experience endless family fun at Western Canada’s Largest Outdoor Family Amusement Park! Calaway Park has 32 rides, 24 food locations, 23 games, live entertainment and a 3D theatre. Located 10 kilometers west of Calgary in the foothills of the Rocky Mountains you can appreciate the spectacular view from your favorite ride. Calaway Park invites you to experience endless family fun at Western Canada’s Largest Outdoor Family Amusement Park! Calaway Park has 32 rides, 24 food locations, 23 games, live entertainment and a 3D theatre. Located 10 kilometers west of Calgary in the foothills of the Rocky Mountains you can appreciate the spectacular view from your favorite ride. Calaway Park truly has something for every member of your family. Visit the Celebration Square Stage where Calaway Live performs two high energy live stage shows starting June 28th, 2019. Cinemagic 3D is the perfect place to escape on a hot day and enjoy a 12 minute family friendly 3D film. Calaway Park has tasty treats for satisfy every taste bud! Sit down and enjoy a meal with your family at one of our five restaurant locations, or treat yourself to cotton candy, sundaes, funnel cakes, pretzels, churros and so much more. Calaway Park’s skill testing games are for the young and the young at heart. What’s New in 2019? Experience Calaway Park’s new ride, Bumble Blast! 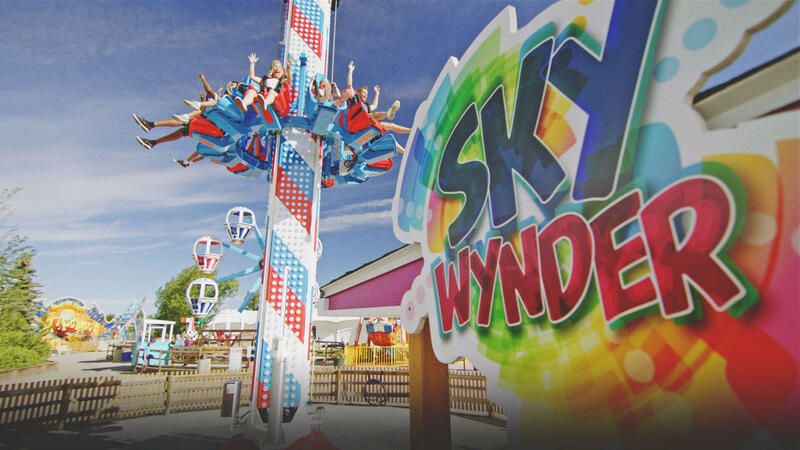 This spinning coaster will have your family twisting and turning all summer long. Journey along a figure-eight track as this family fun ride spins. Bumble Blast seats passengers back-to-back in their own cars and can easily accommodate adults as well as children. You don’t want to miss this family thrill ride opening in 2019. Visit calawaypark.com for discount tickets, general park information and special event details. Calaway Park is your Family’s Playcation Destination! Turn Your Playcation into a Staycation! Let the stars be your nightlight! Calaway RV Park and Campground has a full range of camping options with 104 sites that range from full service RV sites to basic tenting, making them the perfect choice for outdoor summer living. They also have heated washrooms and showers, coin laundry, convenience store, and convenient on-site RV dump station facilities. To make a Campground reservation, please visit calawaypark.com. Take in the wonder of the Rocky Mountains as you challenge gravity on the rollercoaster, or beat the heat on the log ride. With 32 rides, 24 food locations, 23 games, live entertainment and a 3D theatre, there is something for everyone in the family. You’ll have so much fun you won’t want to leave – and you don’t have to. Stay at the Calaway RV Park and Campground and do it all again the next day.